SBN allows an organization to physically track their assets using mobile devices and our enterprise asset management software. 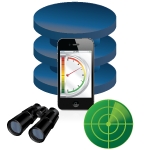 There is no limit to the number of assets our solution can track with your mobile devices in the field, and as an it is easily scalable from a single location to locations worldwide It is as simple as configuring the software and sending employees out in the field to scan the assets. It can be used to scan single assets to review the history and information associated with that item, or it can be used conduct full inventory reconciliations. 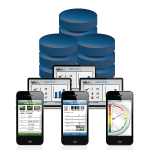 There are two components to our mobile EAM software. Users need to identify what type of inventory they will track into the software. This can be done from a mobile device or from a traditional computer using our administrator’s tool. The second component is field verification. Users simply take their mobile device into the field, scan individual assets and enter or edit information about those items. Once the mobile device is back within WiFi range, data is automatically transmitted, and the asset management database is updated.